Farmhouse and country style gifts, furniture, paint, seasonal items, fiestaware, and painting classes. 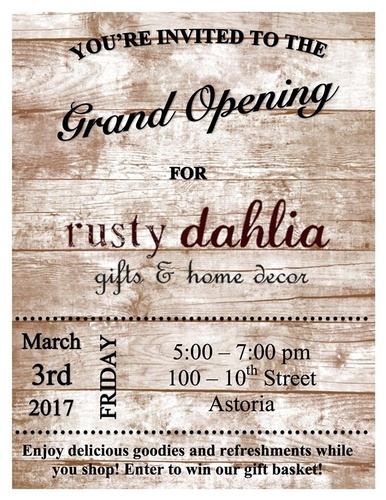 At the Rusty Dahlia, we have a love for all things vintage, rusty, and worn. We have the perfect home or garden treasure waiting for you.